I have finally been able to see the new movie, Divergent (still playing in theaters). I have read the first book and am currently reading the second book, Insurgent. I am happy to say that the movie stayed true to the book. Though movies that are adapted from books can’t put everything from the book into the movie, this wasn’t the case with this film. If you haven’t read the book, then you wouldn’t understand how you shouldn’t miss anything from the book when making the movie. Instead of filming certain things to show the audience, they had some of the characters explain it instead. For example: there is a scene in the movie where Tris leaves Dauntless to visit her brother who is in Erudite. When she is caught and taken back to Dauntless, she is attacked by a few of her training mates, then saved by Four. She tells him later about her leaving Dauntless and visiting her brother. The book tells that entire part differently. When she returns to Dauntless she is confronted by Eric and Four, Four vouches for her so that she doesn’t get into trouble for leaving when she wasn’t allowed to. Later on that night she is confronted by her attackers and is then rescued by Four. They did leave out small details of the book here and there, but they made sure not to skip the important parts. I’m happy to see that they are going to continue filming the rest of the trilogy, with Allegiant, book three, being a two part movie. I’m currently on chapter five in the second book, Insurgent, so I will be all caught up by the time the next movie hits the theaters. They did such an awesome job with the first movie, I’ll be happy to go see the second movie in theaters. 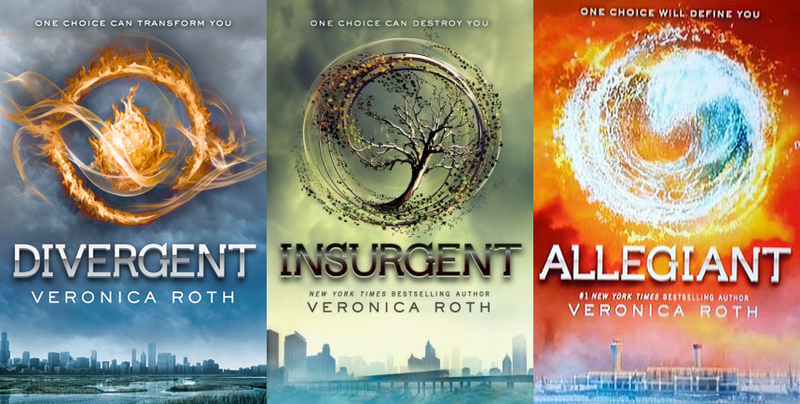 This entry was posted in Blog, Book Reviews and tagged Allegiant, book review, books, Divergent, fantasy fiction, Fiction, films, good movies, good reads, Insurgent, movie review, movies, movies adapted from books, Veronica Roth on April 28, 2014 by JenniferNAdams.